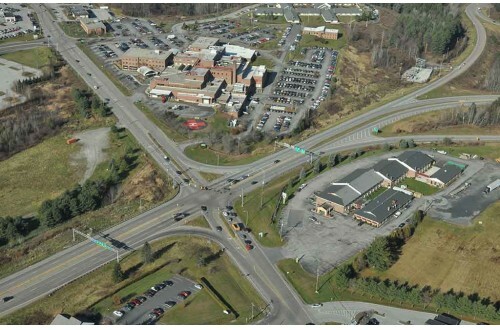 VT 62/Fisher Road/Airport Road Intersection Study - DuBois & King, Inc.
D&K conducted a Scoping Study to identify alternatives to improve safety and enhance traffic capacity at this busy intersection. 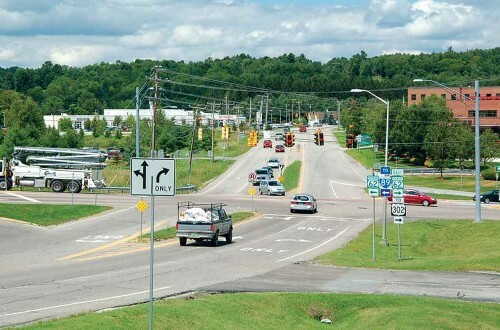 D&K transportation engineers developed existing and future traffic volumes, evaluated traffic data and crash history, consulted with VTrans Sections for relevant issues, compiled current and planned development information, and investigated local and regional concerns. 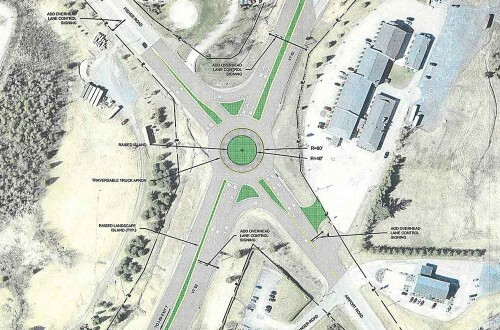 Developed several alternatives including the addition of turn lanes, a jughandle, reconstruction of the intersection as a roundabout, and retiming of the traffic signal. D&K developed preliminary alternatives for presentation and discussion at review meetings, developed a conceptual sketch of each alternative suggested for the intersection, developed alternative cost estimates, conducted natural and cultural resource investigations, and identified permitting requirements. DuBois & King prepared an evaluation matrix with a concise summary of the different alternatives that were developed and completed a final report.